Did you do the training? I got one in July and am beginning to look at trainers in the BR area. Any recommendations? I train mine, I am not a "pro" but I have won field trials with 3 different breeds that I have owned/trained/handled. No have not won nor entered a boykin in a trial, wish I would have run my female in derby though. as for trainers that have multi breed exp in this area that I like/respect - JD Babb at booyah and Louis at Iron Sky in husser.. IMO boykins are like chessies in that they do better training with their owners but.... If I didn't have the time or knowledge I would go to those two. Ive got a buddy that got one thinking he was buying gods gift to retrieving. He spent a fortune on the dog and another fortune on training. She rarely, if ever, picks up ducks, will occasionally pick up doves, etc. Same as above, has a great personality and a fun little dog to be around, but holy shite not worth the money he paid to be a bird dog. He spent a fortune on the dog and another fortune on training. There's a lot of truth in that statement. It's my personal experience (our family's owned 3) that Boykin's develop a very strong bond with their owners. That bond is especially tight with one family member over the others. Our first dog, that was my dad. Our second, my mom. And our third, with me. That bond is usually with the person that spends the most time an effort with the dog during their formative/adolescent time. I will say, the dogs I've known personally, have a VERY strong drive to please their owners. All have had a strong natural instinct and desire to retrieve. 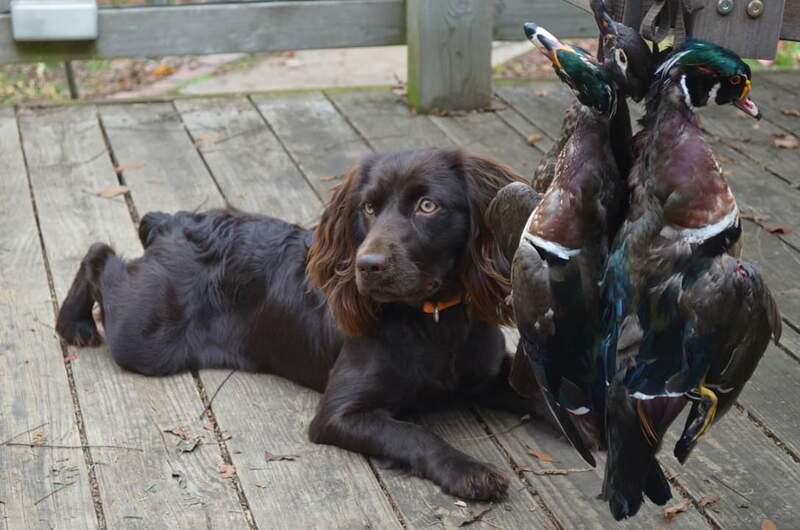 Having a Boykin says "I kind of want a duck dog, but not really". the last 100 or so that mine picked up this year were open water dosgris from multi person boat blinds. He is the biggest boykin I've ever been around at 43#. I still worry about him after #15 or so of long drawn out diving birds that people have wounded. I just think a lab, even a 40# lab has a big advantage over him at long distance swimming. ben ryan.. I'll put either one of mine up against your duck dog any day of the week and in any terrain. On a serious note about size there are many advantages about owning a smaller dog. Our right now is about 35 lbs or so. He's easier to transport, eats less food and isn't as intimidating as a 100+ lb lab. Now, obviously there are advantages of owning a big dog as well, but for our family, small wins over big. And FWIW, our dog is a family dog first. He just turned 4.
just to clarify, so that no one thinks I'm conceding. Mine is out of Chief, my last was out of mule. my dog hunted with two other dogs this year, both labs, both out of the best bloodlines $$$ could by, both having spent 3 years with professional trainers. If we downed a bird with no mark, and needed one of the dogs to make an attempt at it, I have utmost confidence that mine would be the one that any of the owners would pick. If we shot a wounded scoter that was gonna go 250 yds, I'd want to start the boat to save the dog. I'd still do that if I had a chessie, killing one of them do to exhaustion is enough for my lifetime and my kids. my male is out of mule 47 lbs 45 when wife is out of town. Our right now is about 35 lbs or so. Alright a confession. Our's is closer to 37-38#'s, but I didn't want to write that because I didn't wan't ya'll to think he was too fat. Do our wives know each other? Mine was at the vet last week and he weighed 47 lbs. Doesn’t seem to be overweight. Damn sure doesn’t slow him down. My 28lb Boykin, Bijou, is a retrieving machine. I've been a champion of the breed for over 7 years and still am. Polar Pop has seen my little brown dog in action. They're an awesome breed. As with any retriever, theyll go as far as and be as good as you are consistent with training. And right there boys and girls, is the truth. better retriever than a Lab? Absolutely. 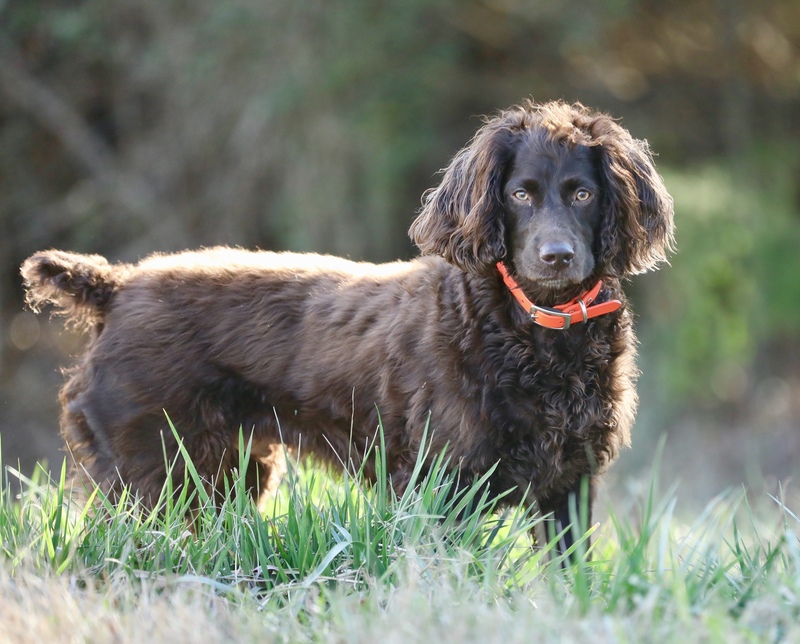 Can the best Boykin in the world compete with the best Labrador in the world on all things retrieving? frick no. They will get smoked. As a matter of fact the best Boykin would get smoked by a mere above average lab. They can’t swim as well, see as well, run as fast, hunt as hard and as long as a Lab. They are simply not equal. But if you want a small little retriever that will hunt go get you one. Just know you’re not getting a Labrador Retriever. I’ve hunted with a lot of good Boykins and good Labs.